​A godparent is a person or couple whom the parents have chosen to stand up for their child during baptism. Godparents are specially selected as those the parents believe will have the child’s best interests in mind and guide them in their faith throughout their lives. It is a common practice in Christian faiths, and traditions can vary depending on the denomination. Although the role of godparent is not a legally binding one, it is viewed as a serious commitment in each Christian faith. Once the godparents have been carefully considered and chosen, you may want to provide them with a token of appreciation. 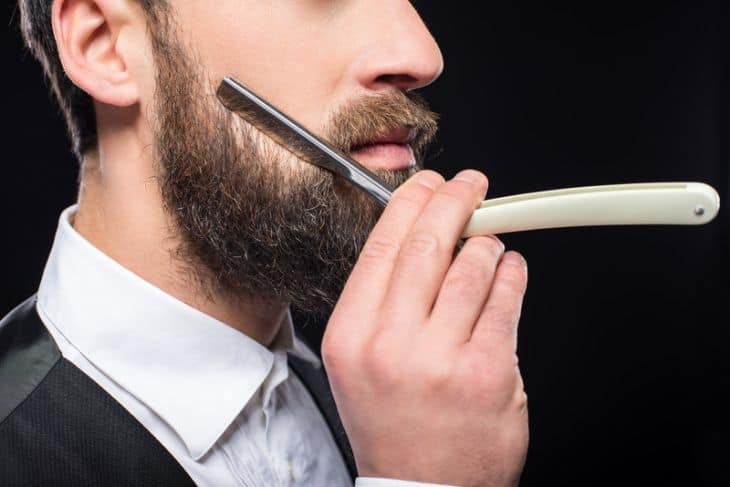 If you do decide to present the godparents with a gift, one in silver and specifically chosen with their personality and style in mind will add to their enjoyment of the item and continue to remind them of their connection with your child. A piece of jewelry with the child’s birthstone is a considerate gift. A pair of earrings for the godmother, for example, is a thoughtful way to commemorate the special ceremony and day. You might consider a bracelet or necklace with the birthstones of both child and godmother. It provides a visual connection that she can enjoy for years to come. A keepsake box can come in many different styles. One may include a picture frame, while another has a special saying and their names inscribed. It’s a way for the godparents to hold a reminder of each milestone in the child’s life for years to come. A picture frame is a personal remembrance for connecting the child with their godparent. It may be specially engraved wood, silver, or crystal but including a picture of the baby with the godparent on their special day together provides a vivid memory of their connection. A framed message or poem written for the godfather or godmother is a poignant gesture that reminds him or her of the lifelong connection they have with your child. It may be one personally written by the parent, or a pre-written version exclusively for the godparent, but it is sure to evoke an emotional response. Adding finishes that are particularly fitting for the godparent, such as a font that suits the personality, subtle graphics, quality paper, coordinated matting, and matching frame, indicates your appreciation of them. Representative of the role the godparent has agreed to play in your child’s life, a figurine is a fitting tribute. There are a number of designs from which to choose in this category. One that particularly suits the godparent is a thoughtful acknowledgement of their place in your child’s life. While these aren’t necessarily lasting gifts, unless a flower is pressed in a book, they can be very welcome surprises. Gourmet foods can also be personalized in a basket with items you have exclusively chosen to the godparents’ liking. It is something that can be shared by the couple. Flowers may be chosen with the godparents’ favorites or personal color preferences in mind. You can always take a picture of the godparent(s) with the gifts for a lasting keepsake. Gifts aren’t a necessary part of the baptismal tradition by any means, however, a carefully chosen small tribute to the godparent(s) for assuming their role in your child’s life is appreciated. It is recommended to bear in mind the godparents’ personal style when choosing a remembrance. Engraving any item you choose, if it’s possible, adds a special touch. 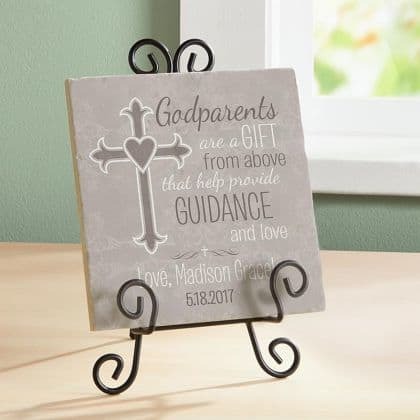 Another consideration is that, because you have chosen the godparent to be an intentional person in your child’s life, you may want to include godparent gifts for each gift-giving occasion that arises throughout the years. The godparents are designated by you to represent a traditional role of significance that is intended to remain as support for your child. A thoughtful gift given by you and your child tells that person that they continue to be important in your lives.